This crusty punk wants to rent a room from our cameraman, but he has no money. Luckily, our trickster figures out a payment plan. Our cameraman is cruising a filthy public bathroom in Buenos Aires when he comes across a hot guy passed out in one of the stalls. 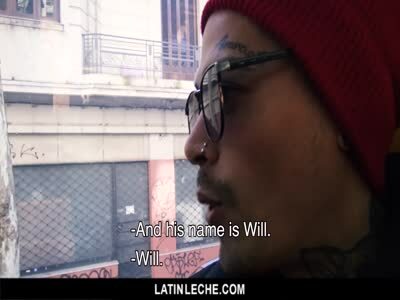 On LatinLeche this week, a hot tattooed stud from Uruguay returns to the site to see if he can handle my two hung, uncut friends.